Current; Oxford Dictionaries Online offers essential language resources never before available online: fully searchable, completely comprehensive bilingual dictionaries, and unique study materials that provide extra help with learning and using an expanding range of languages. Oxford Dictionaries Online includes access to a vast range of materials that offer authoritative support for learners, students, and language users at every level. Other materials include hundreds of downloadable letters, grammar notes, verb tables, cultural information, and more. DARE focuses on the regional aspects of American English by documenting words, phrases and pronunciations that vary from one place to another. This digital version features audio clips and quotations from the DARE Survey, and an interactive map. Comprehensive coverage of linguistics, from languages around the world to animal communication. Encompasses full range of topics in linguistics. Covers all aspects of linguistics from grammar, phonetics and semantics to languages, dialects and sociolinguistics. Authoritative, up-to-date information about the English language, with an international perspective. 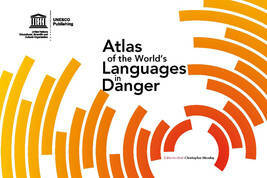 Interactive map provides quick reference to endangered languages. Complements print edition, available in the Rockefeller Library. This online community for linguistics, run by professors and graduate students, provides information on language and language analysis, job and conference postings, and recent publications.